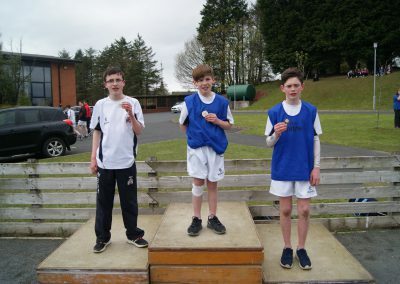 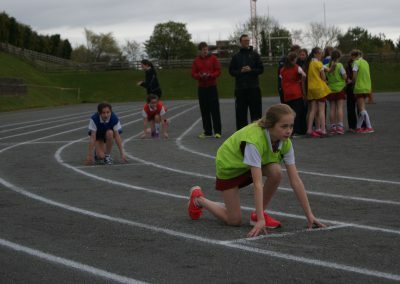 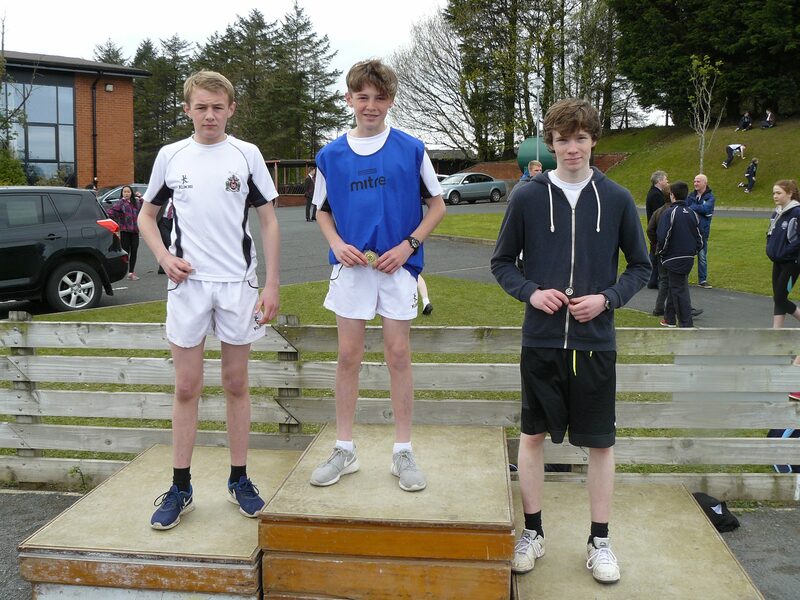 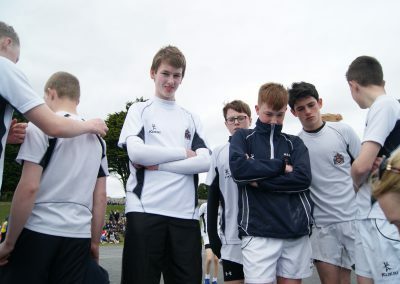 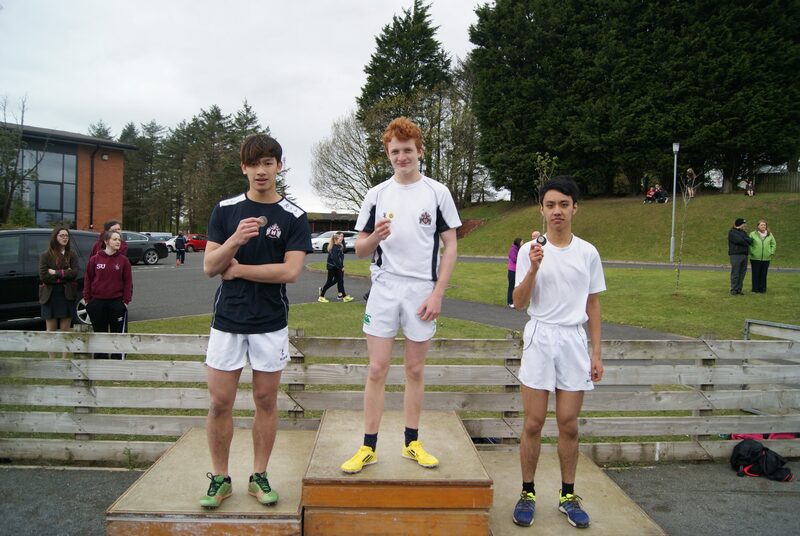 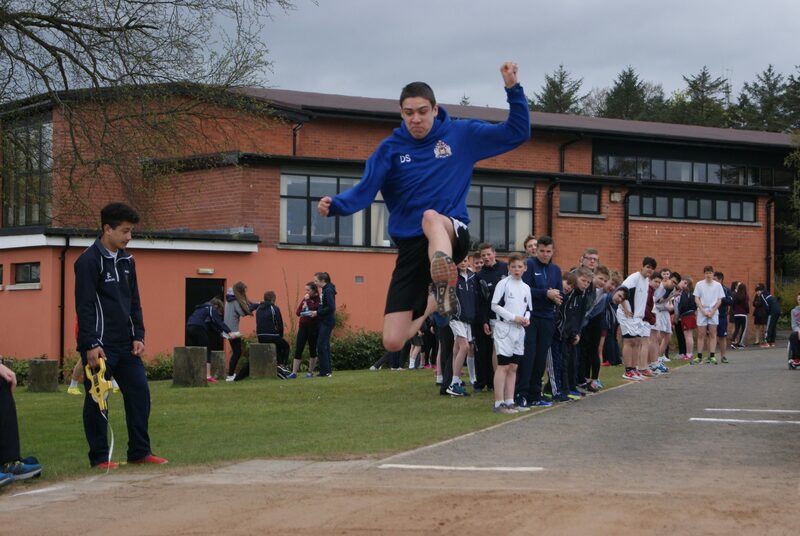 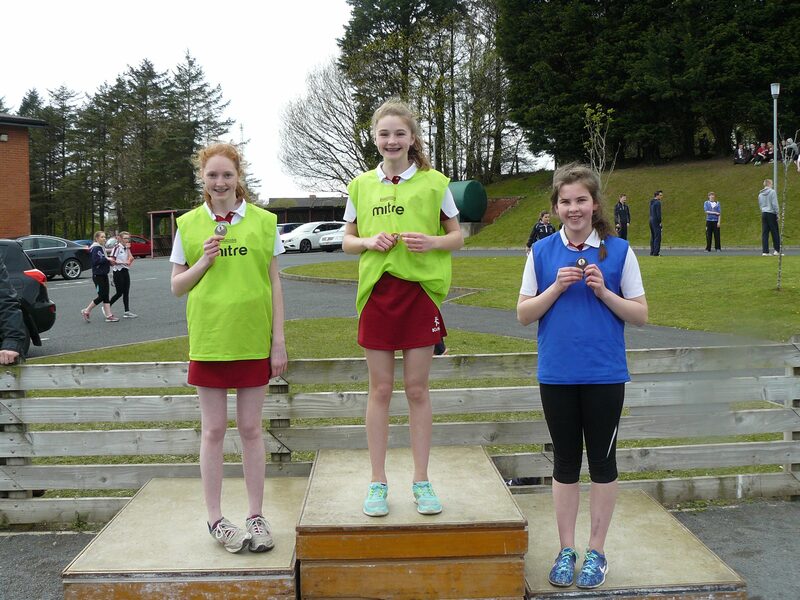 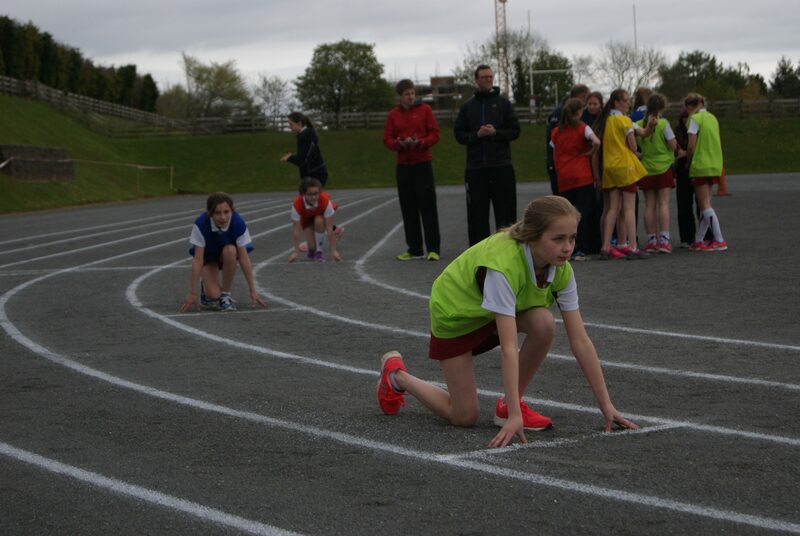 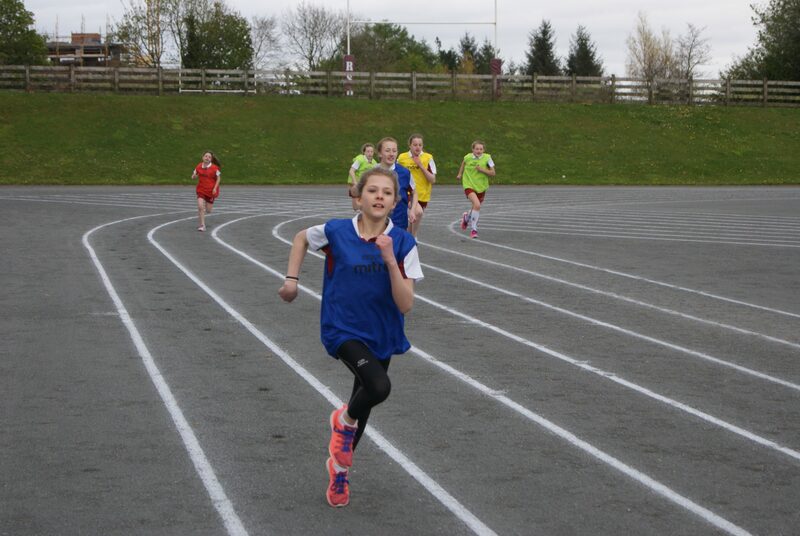 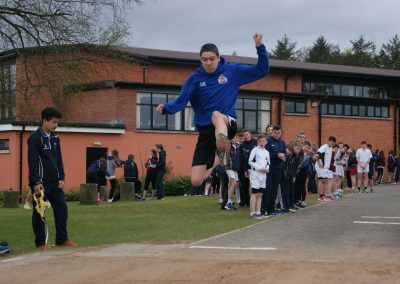 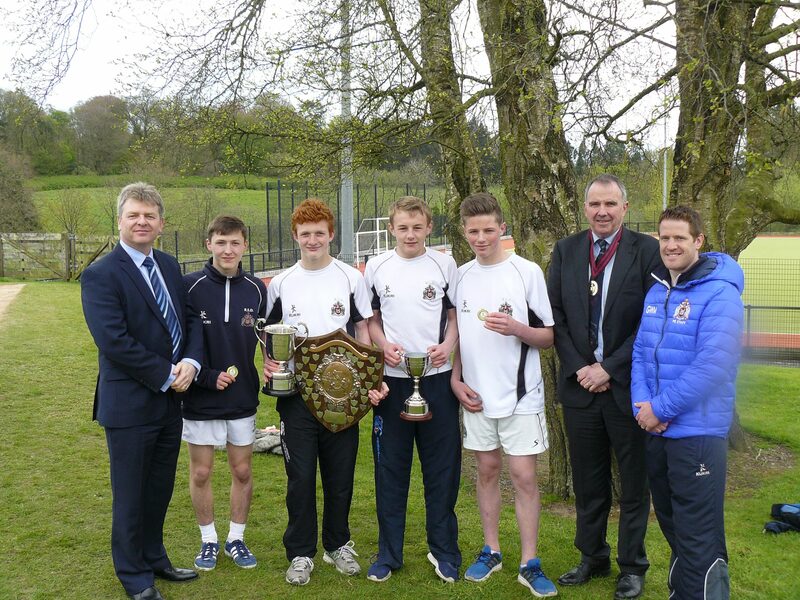 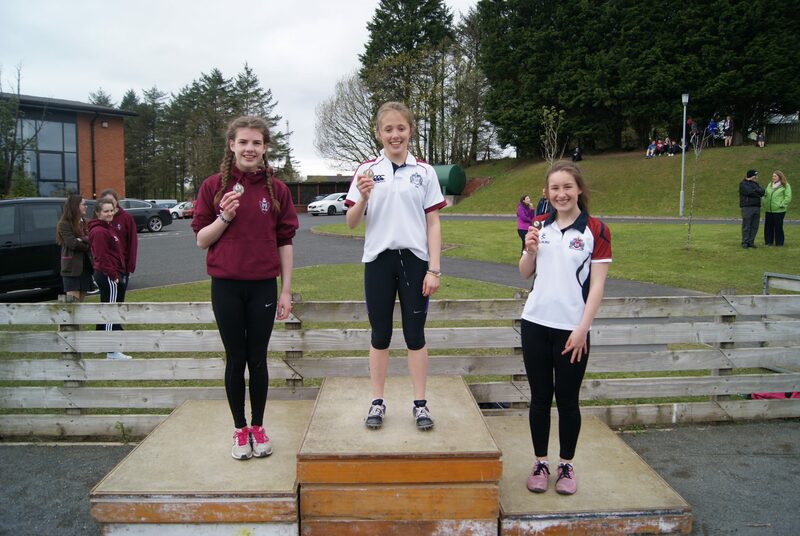 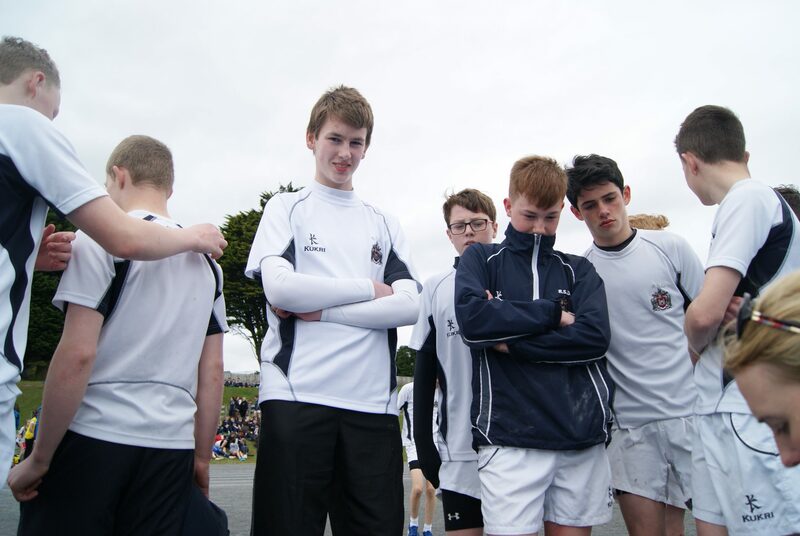 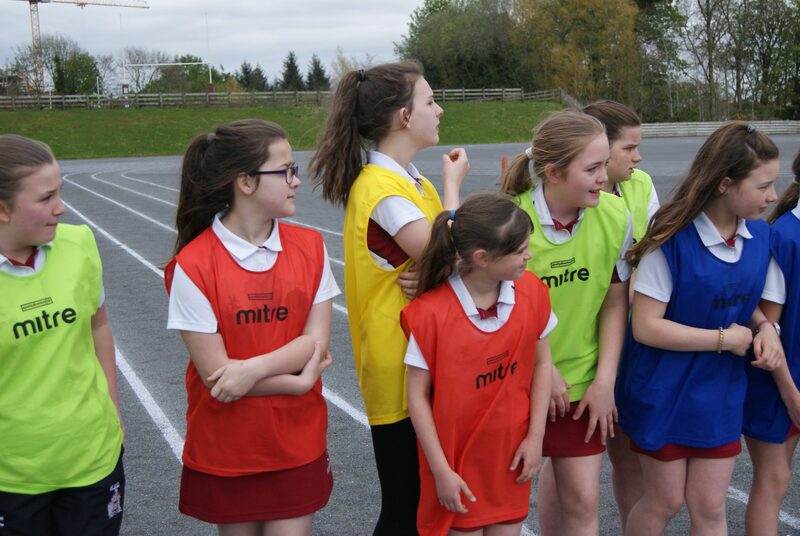 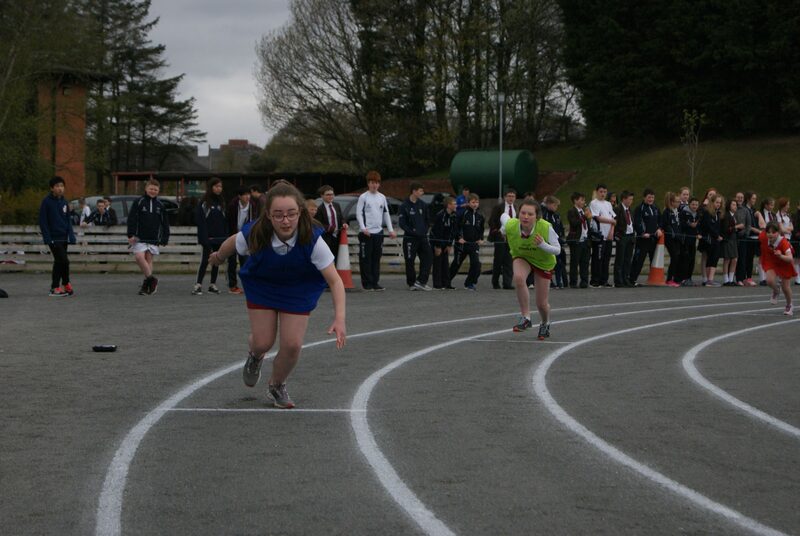 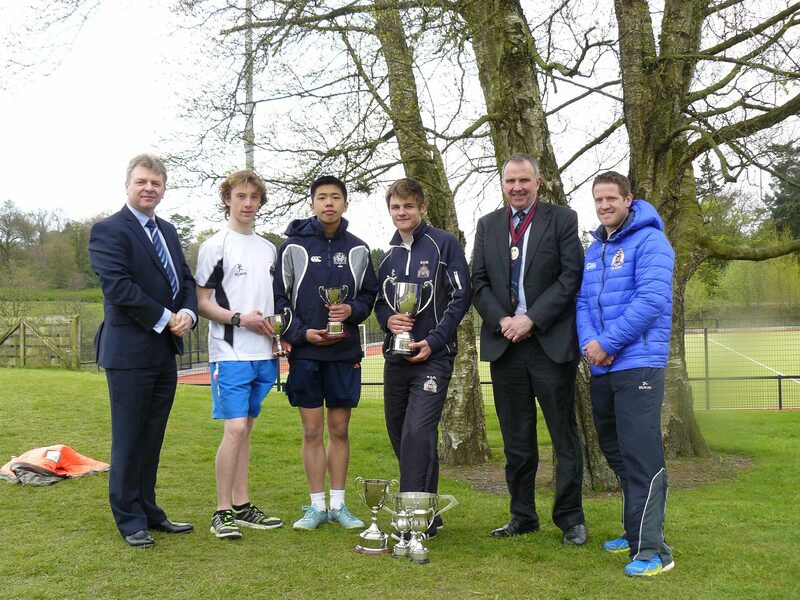 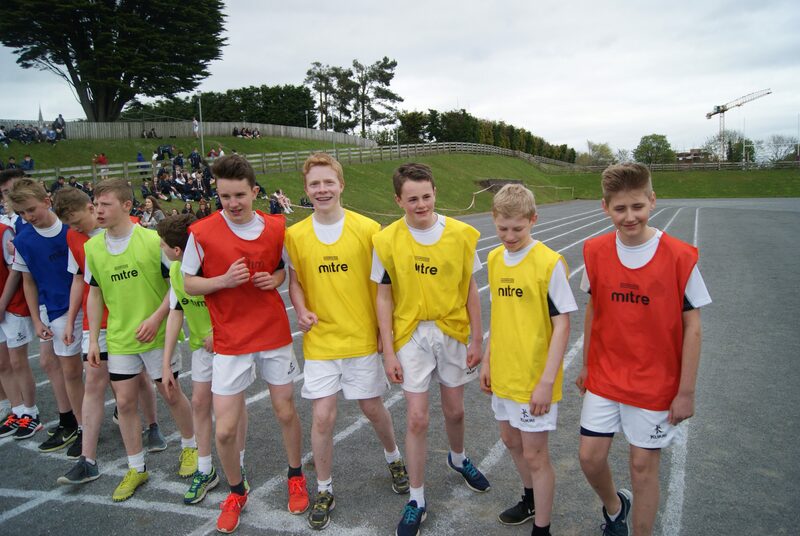 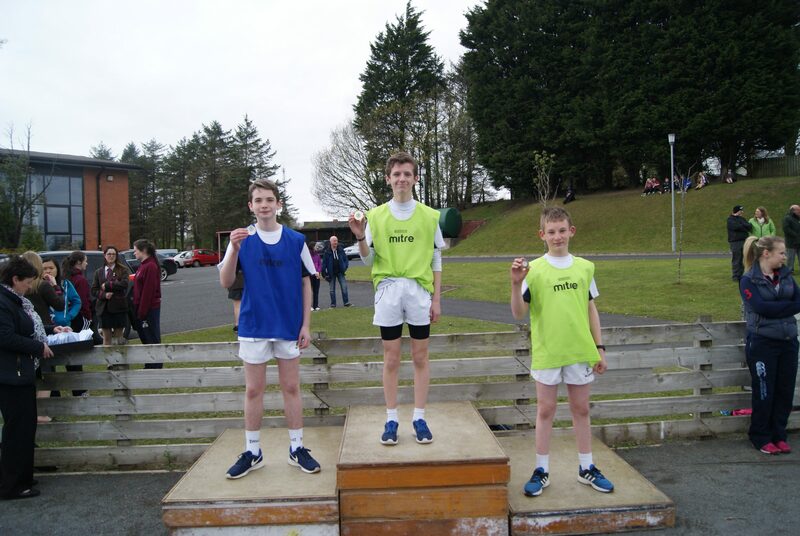 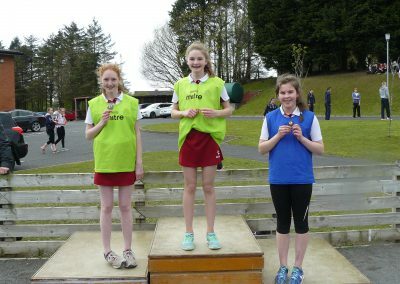 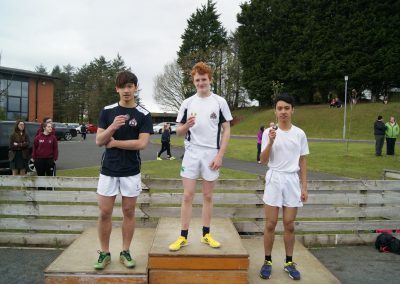 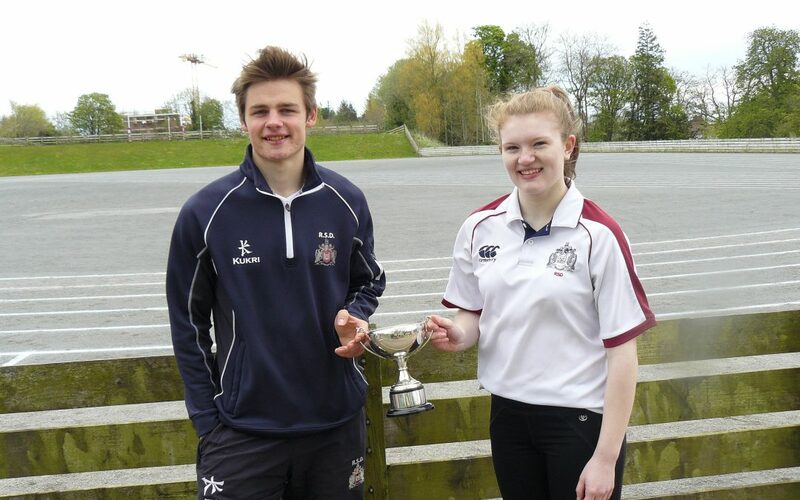 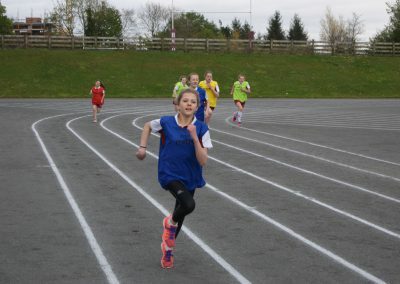 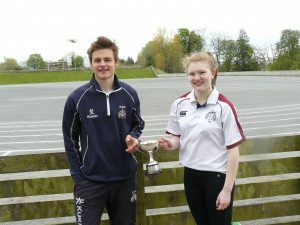 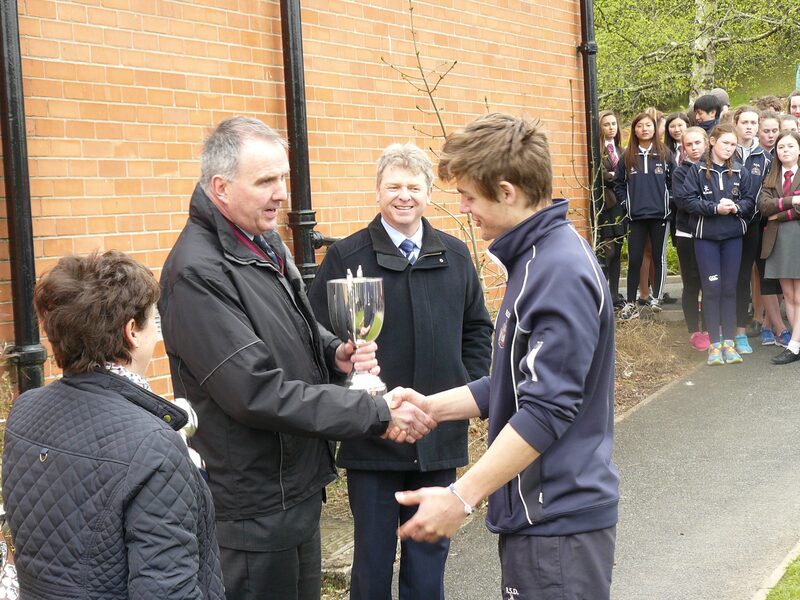 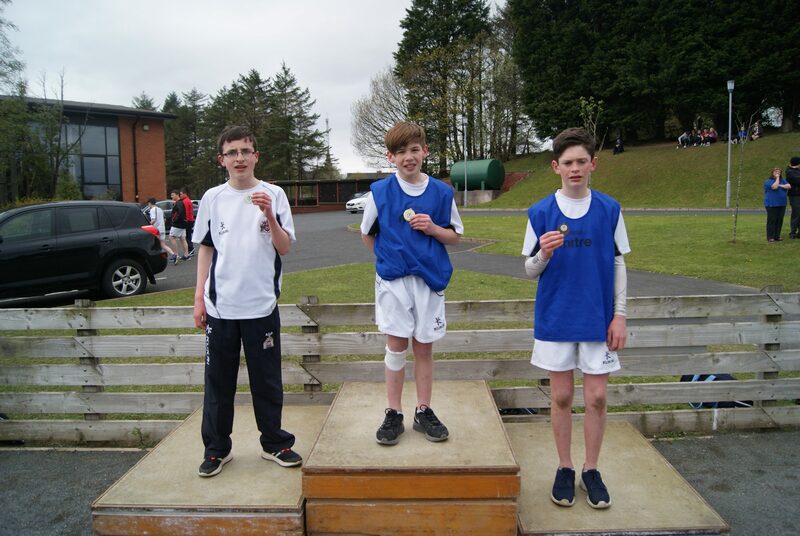 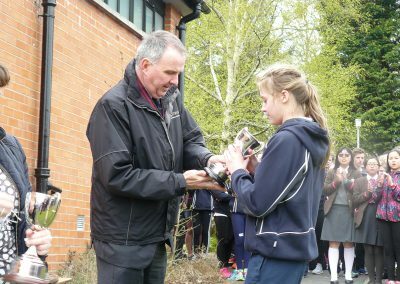 Wednesday 4 May was Sports Day, RSD’s showpiece inter-house track and field competition. 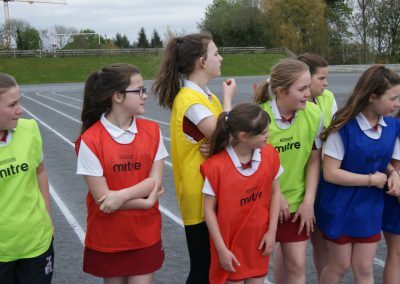 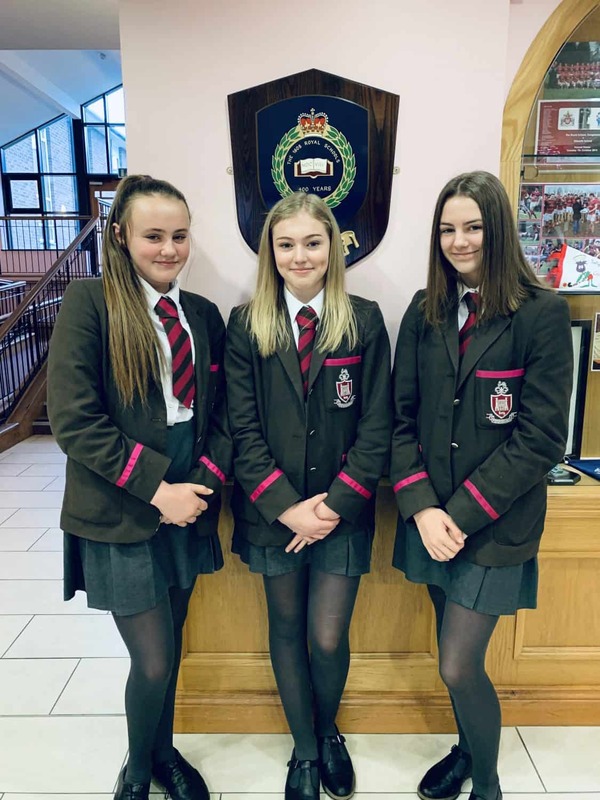 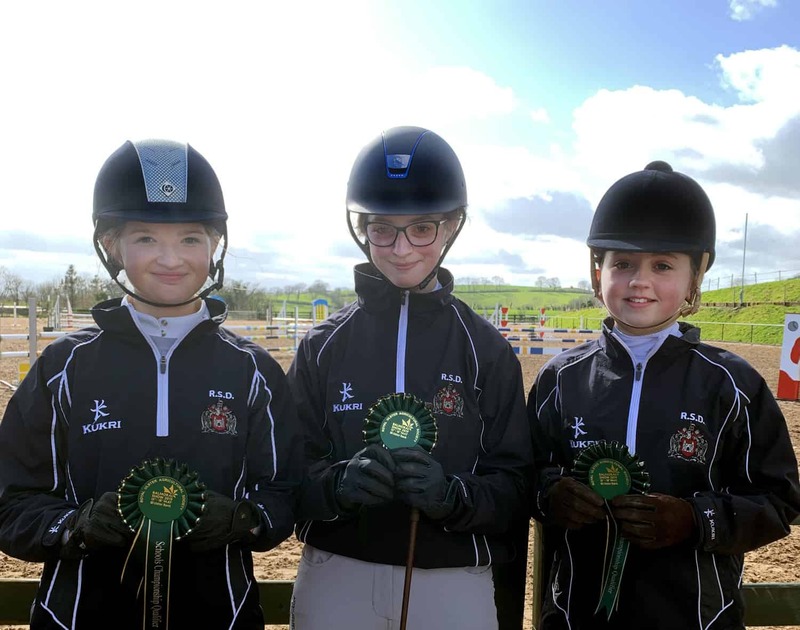 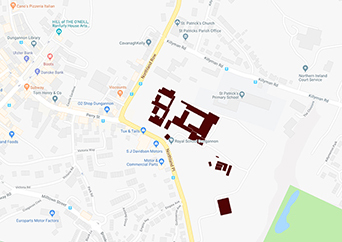 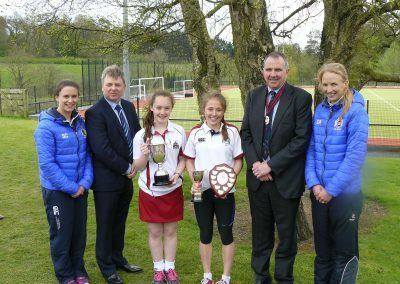 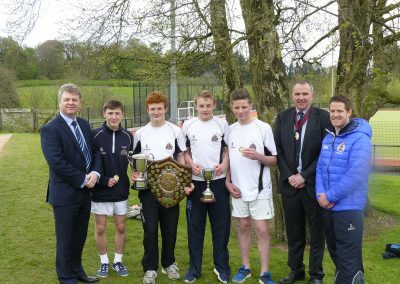 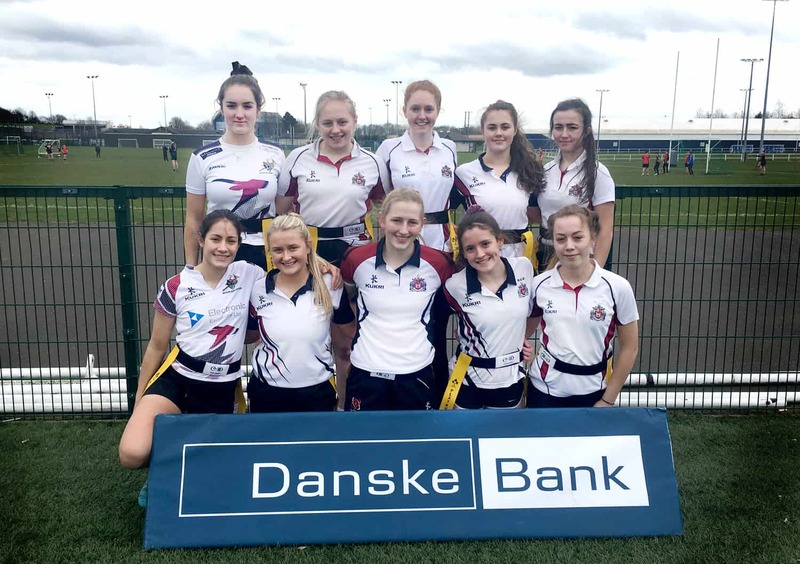 Bullingbrook-Tyrone had stormed to victory in the previous two Sports Days, and ‘the green army’ began with high hopes that they could make it three in a row. 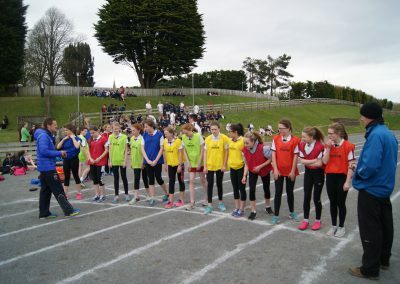 But as the competition wore on, Beresford-Charlemont stretched out into a substantial lead, thanks in no small part to excellent participation and performances from its Years 8-11 members. 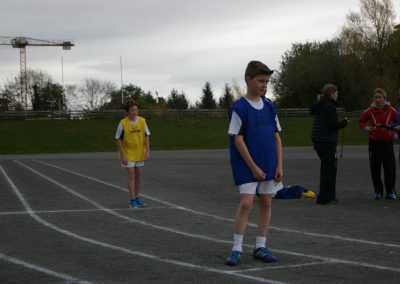 But towards the end of the day, BT reduced the lead considerably with some fine performances in the senior events, so that with just the relays and the last few field events remaining, BC clung to a very slim lead. 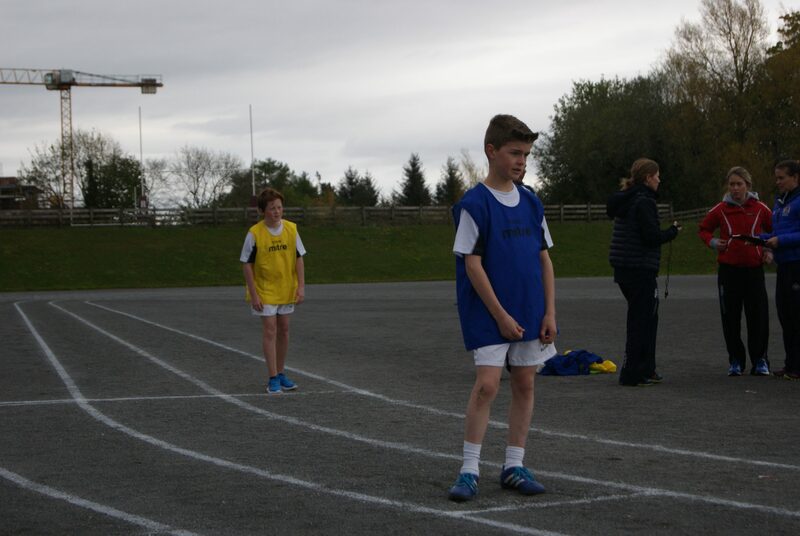 With a late surge in these last few events of the day, BT inched ahead of their blue rivals to win by an agonising three points. 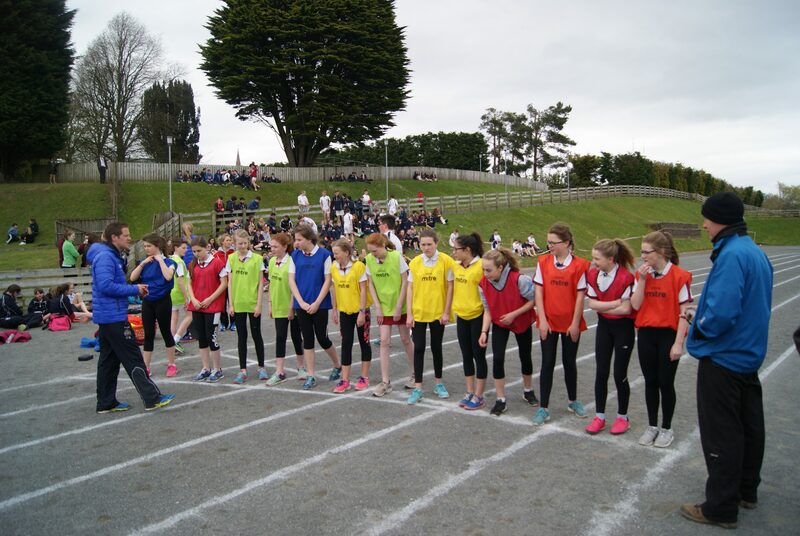 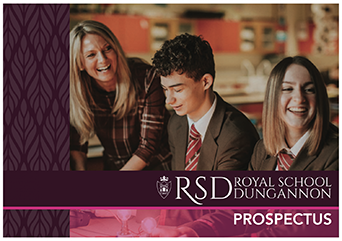 The final scores were: Bullinbrook-Tyrone 510 points; Beresford-Charlemont 507; Nicholson Dungannon 459; Mountjoy-Ranfurly 406. 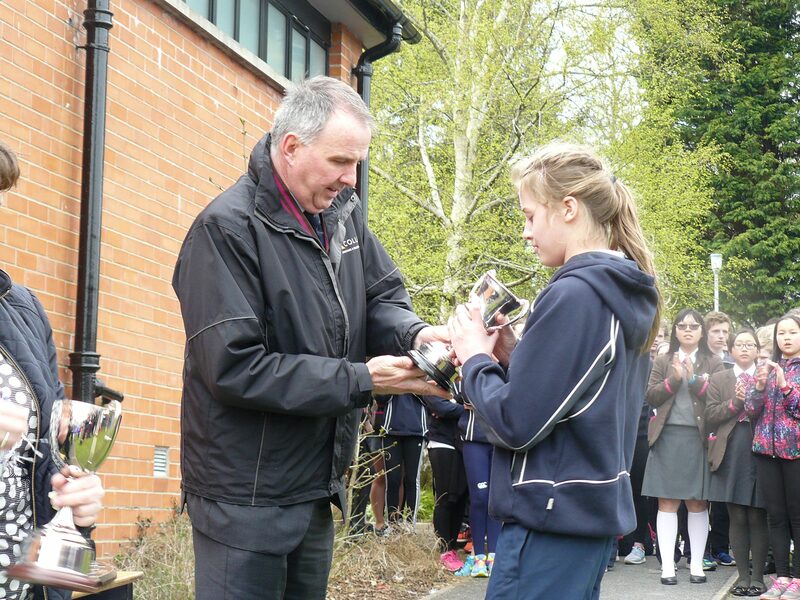 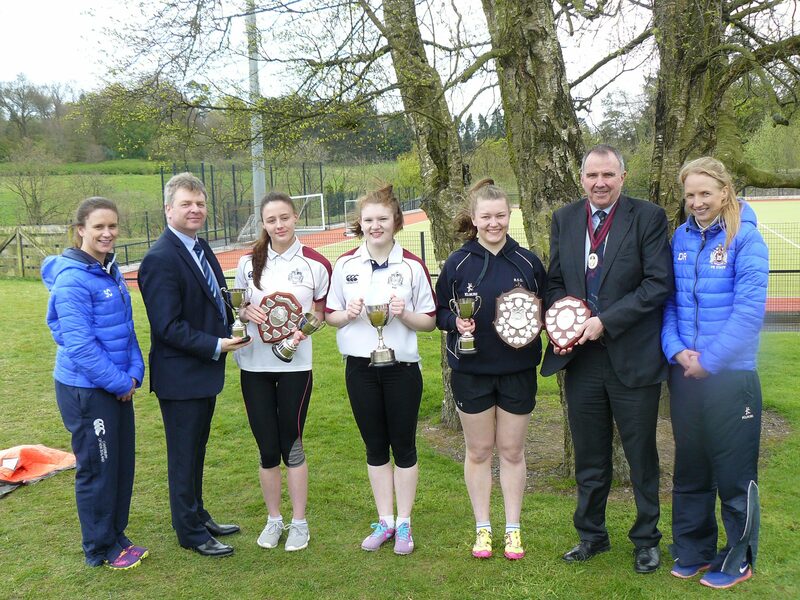 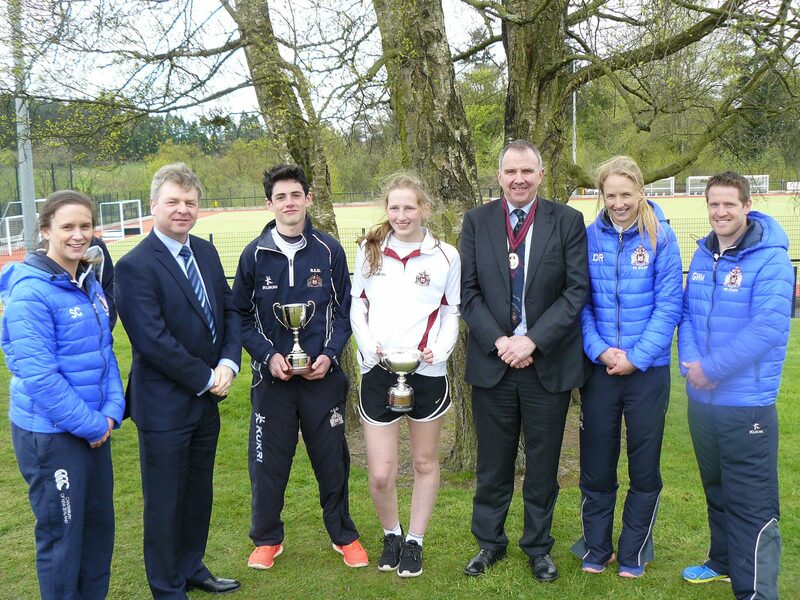 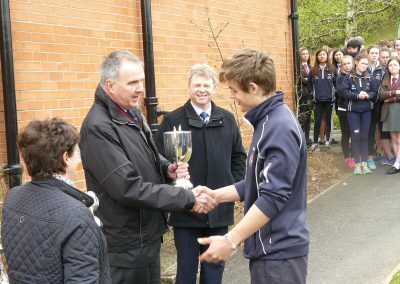 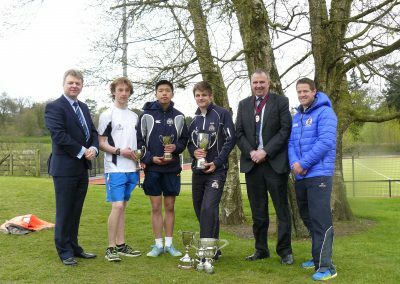 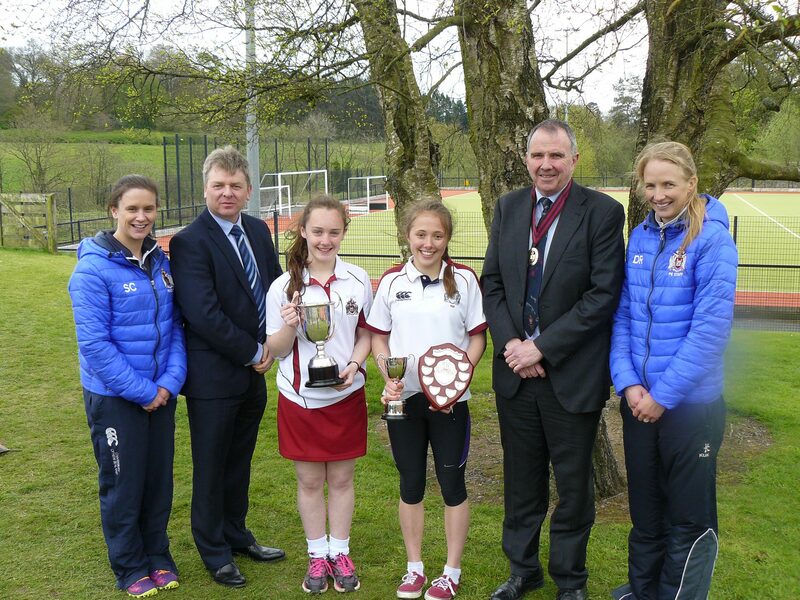 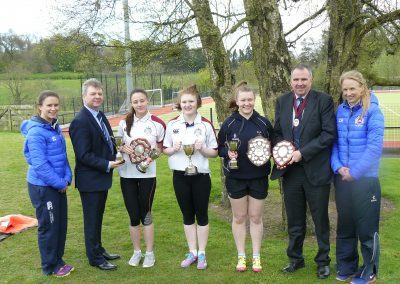 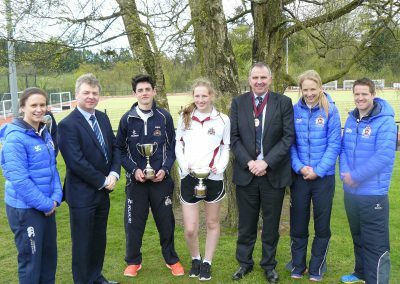 Individual cups and prizes were presented by special guest, President of the FPA Mr Keith McLean. 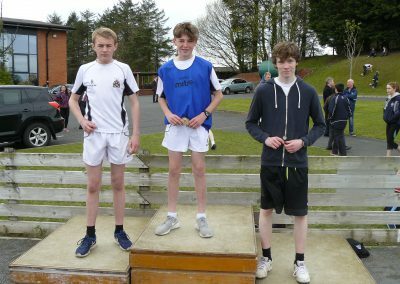 Well done to all competitors and thanks to Mr McLean and to everyone who helped in making the day a success, particularly the members of the PFTA who ran the refreshments stall.
. 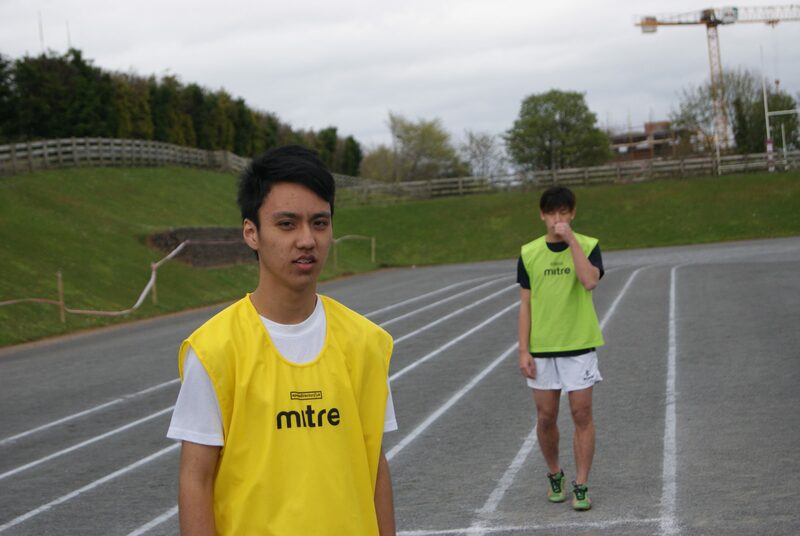 Photography by Hugo Ho (Year 12).